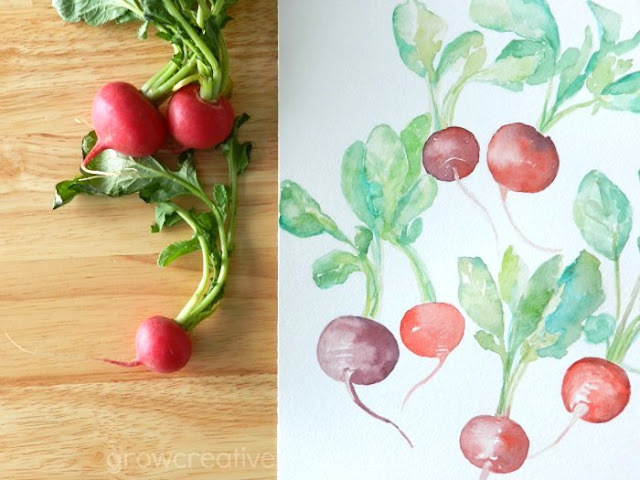 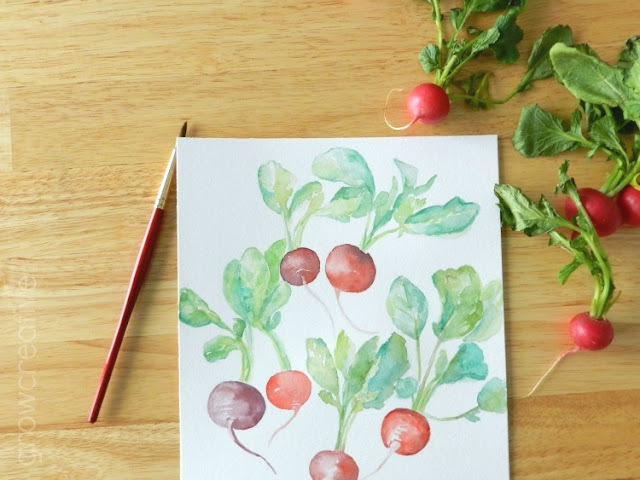 Radishes are just one of those vegetables that have a fun shape to paint. 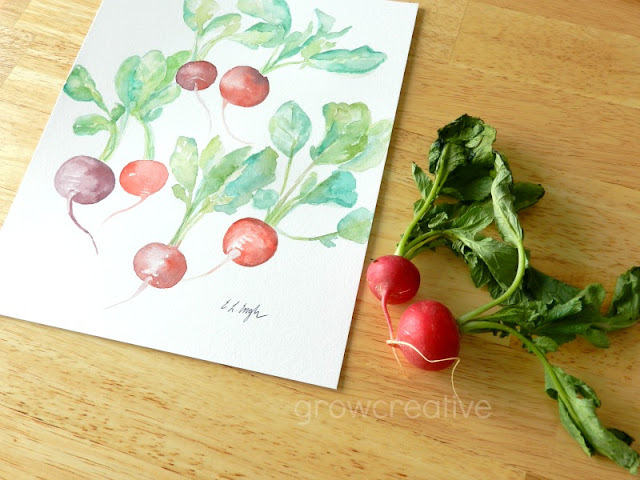 I wish I could buy veggies with the exclusive purpose of painting them, but I need the nourishment, so I have to eat them too (they actually aren't that bad with ranch). 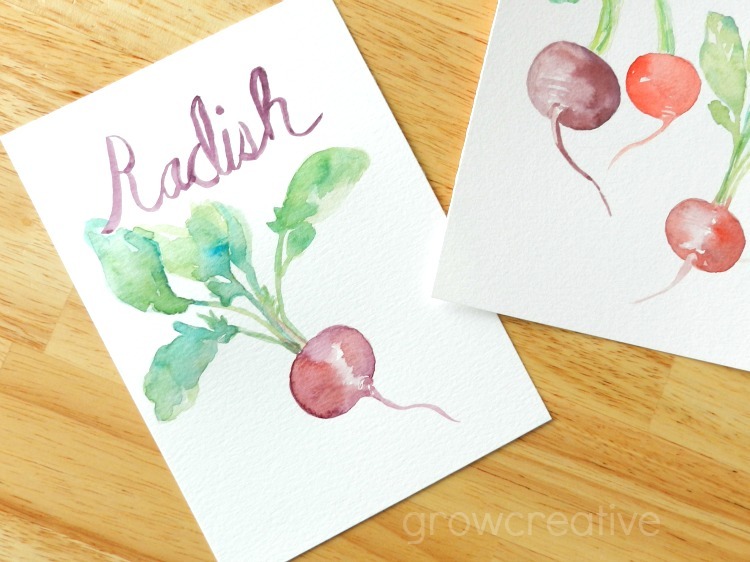 I tried out some lettering with one of them. I've been working on my handwriting skills............still needs some work. See these both in my Shop!